No children’s party is complete without balloons so why not add that extra special touch with our incredible balloon decorating service! There’s no delivery charge and no minimum order (when you hire one of our children’s entertainers), meaning we can offer you the best possible prices! 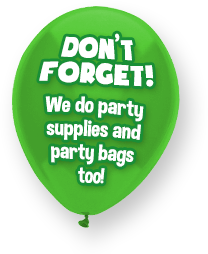 Whether you’re looking for bright balloons bouquets to decorate your party, latex or foil balloons, themed or shaped balloons, we have something for everyone. You may have a clear idea of what you’re after, or perhaps you’re looking for ideas from us. Either way, just get in touch and we’ll be happy to talk you through it and make suggestions. To book: We do all of our bookings over the phone. To to find out more, or to place an order, please get in touch and we’d be happy to help. To place an order we ask for a deposit by card over the phone (amount of the deposit will depend on your order). 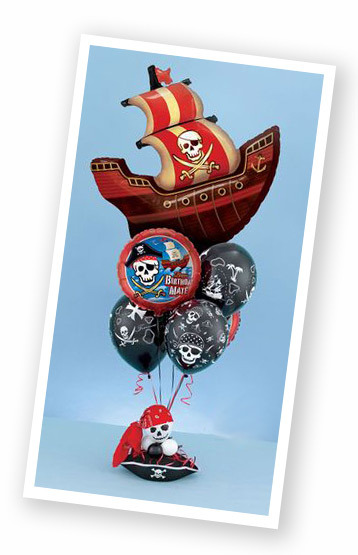 We will then deliver your balloons to your party venue on the day, ready for before your party starts. Please note that our balloon decorating service is subject to availability so we do advise booking early. I have been to many parties over the past couple of years, and mostly the entertainers have been ‘hit and miss’ – you were certainly a 100% hit!